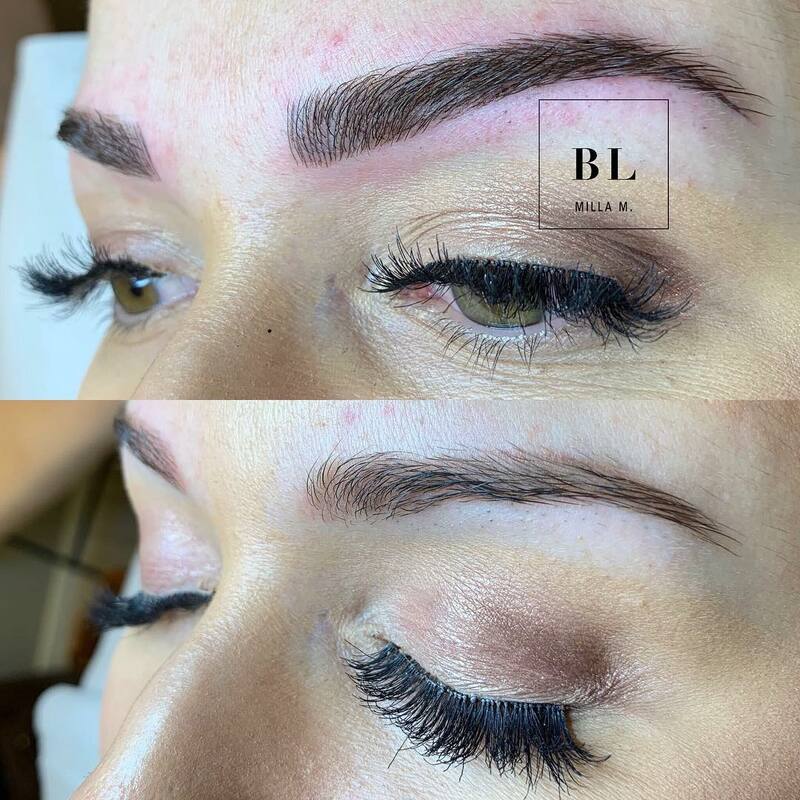 The perfect brows with Microblading! 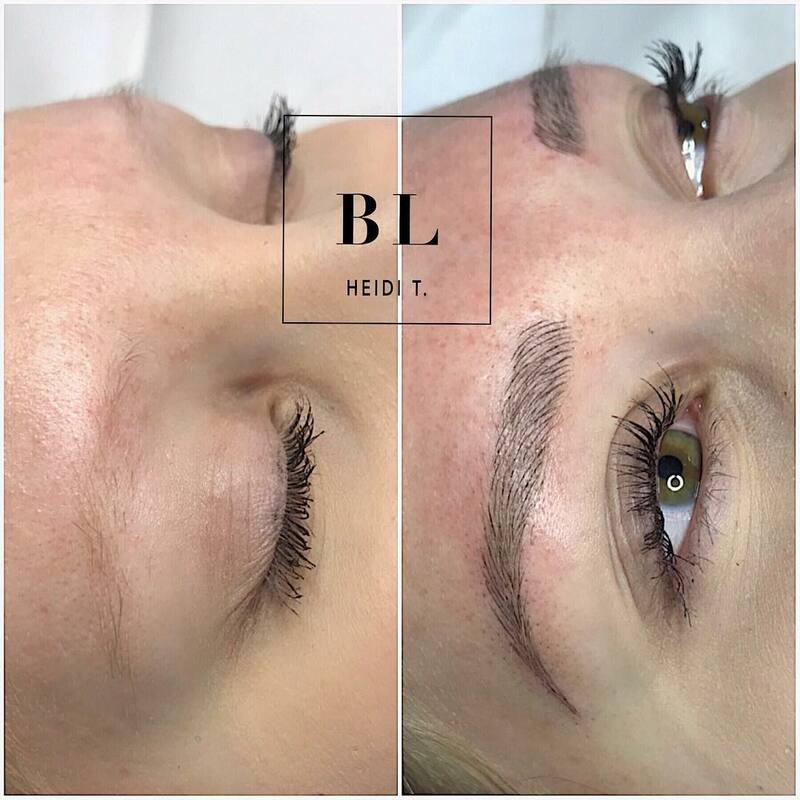 During the Microblading procedure, the pigment is applied on the surface layer of the skin which means in between the epidermis and dermis. The high-quality pigments used in collaboration with Phi Brows and Swiss Color are safe. During Microblading we use nitrite gloves. 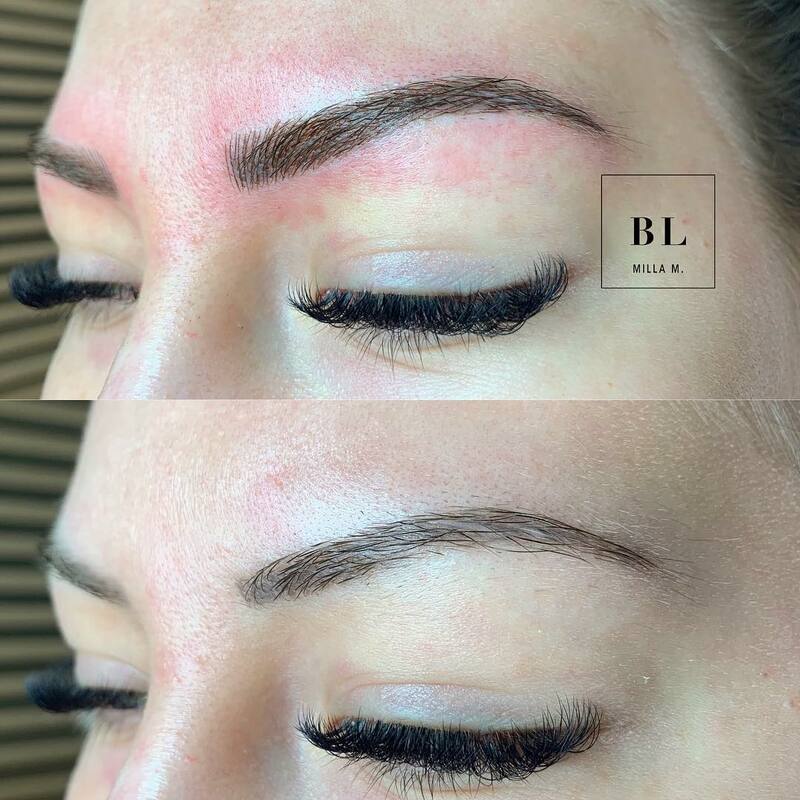 All in all the procedure is slightly like tattooing but it does have significant differences compared to the permanent tattooing method. 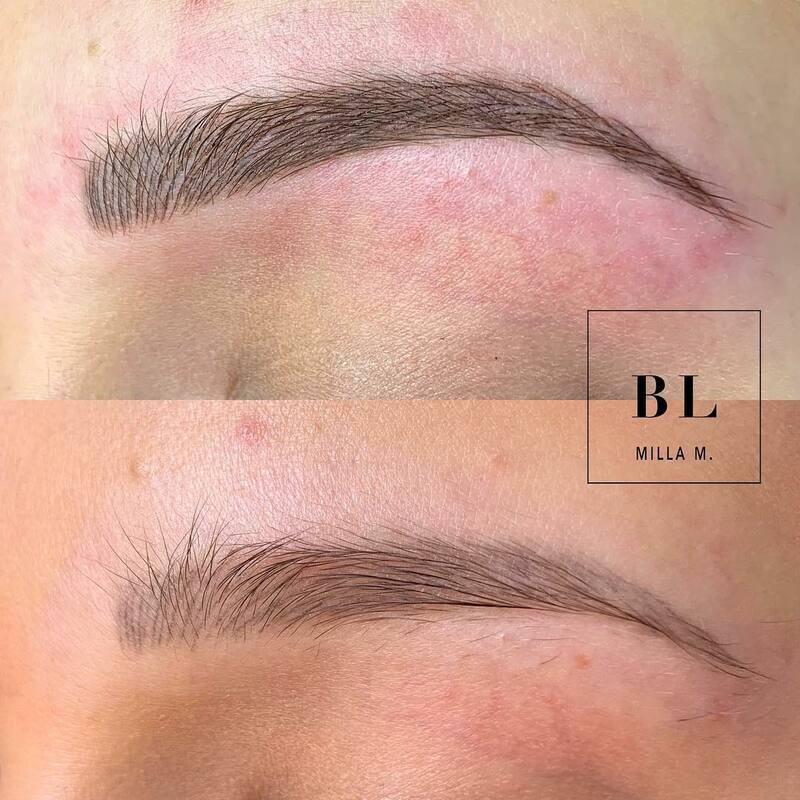 With the microblading technique, the brow pigment wears off completely from the skin in a year. 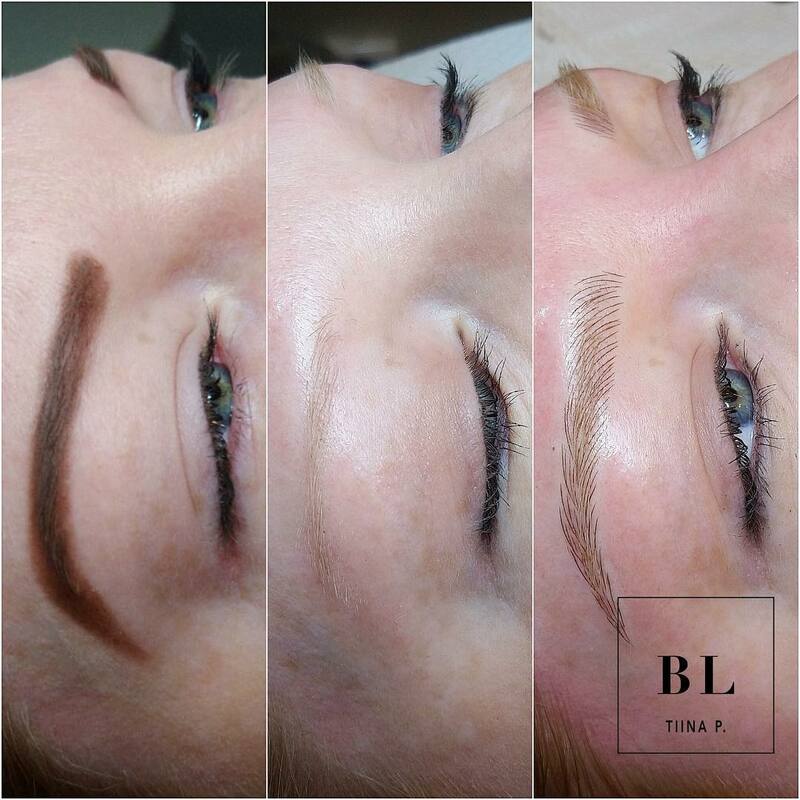 This means that if you like to maintain the result, you need to retouch your brows. 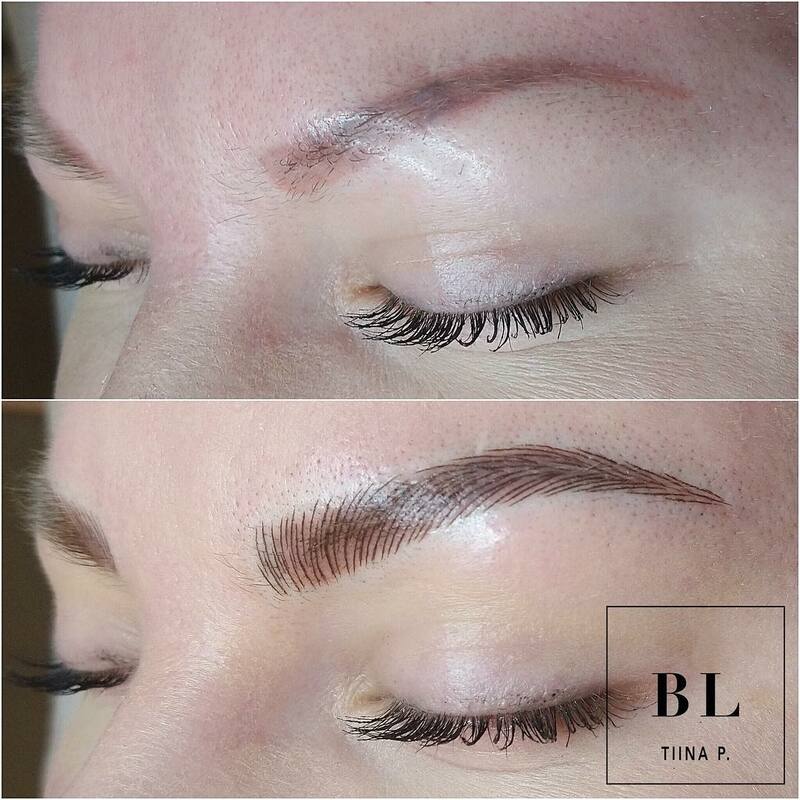 We recommend that you contact your microblading -professional approx. 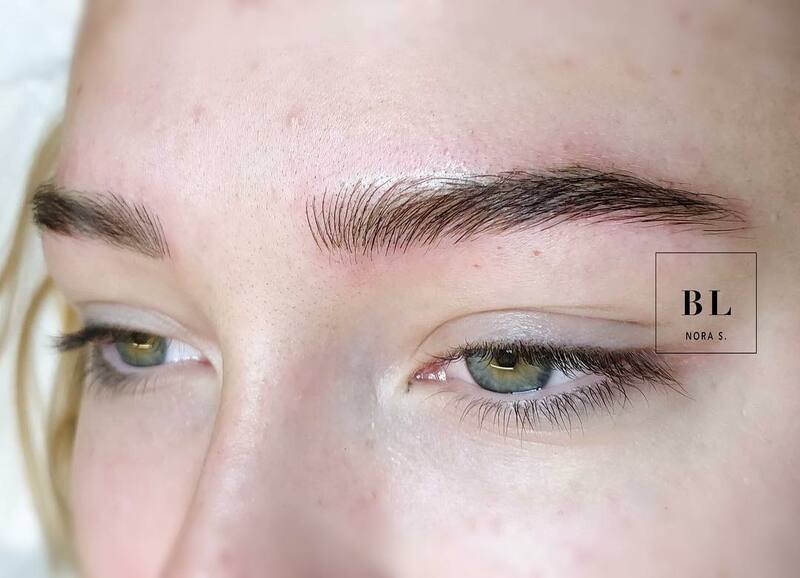 a year after ( or if you like even earlier) to strengthen your brows. The first time might be more painful, but it depends on the skin type and pain tolerance. The actual treatment does not hurt but it might feel nasty at first. 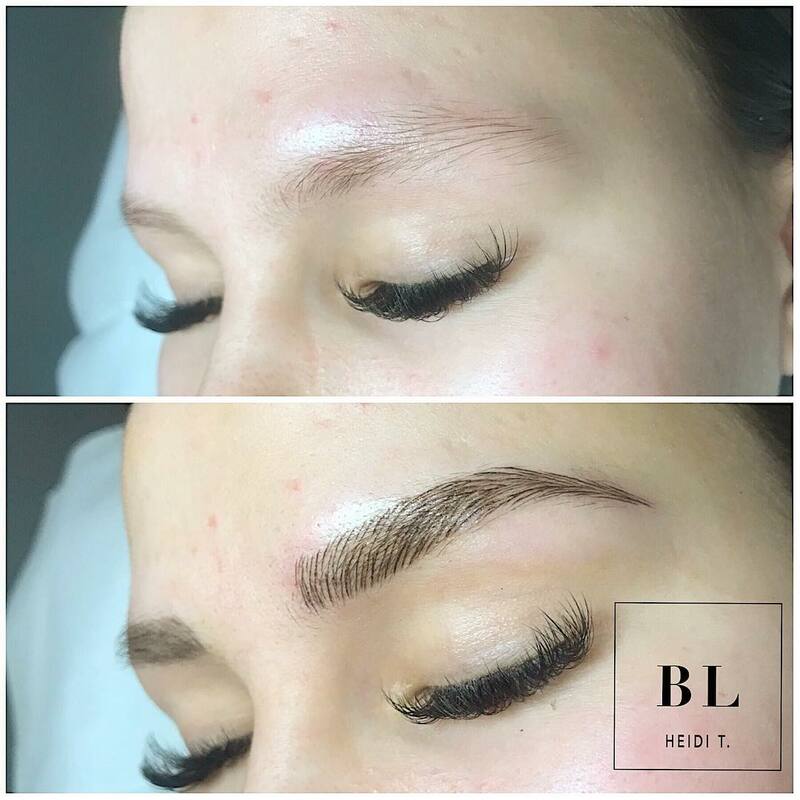 During the making of the brows, for sure it feels slightly uncomfortable but the Microblading blades work on the surface layer of the skin where there is not that much nerves that feel the pain than lower skin layers, so the pain is during Microblading is bearable but these thing are very individual. To a very sensitive skin the treatment may hurt more than to normal skin. We use anesthetics, which take most of the possible pain away. The surface analgesics fades away from the skin within 2 h. Nb! 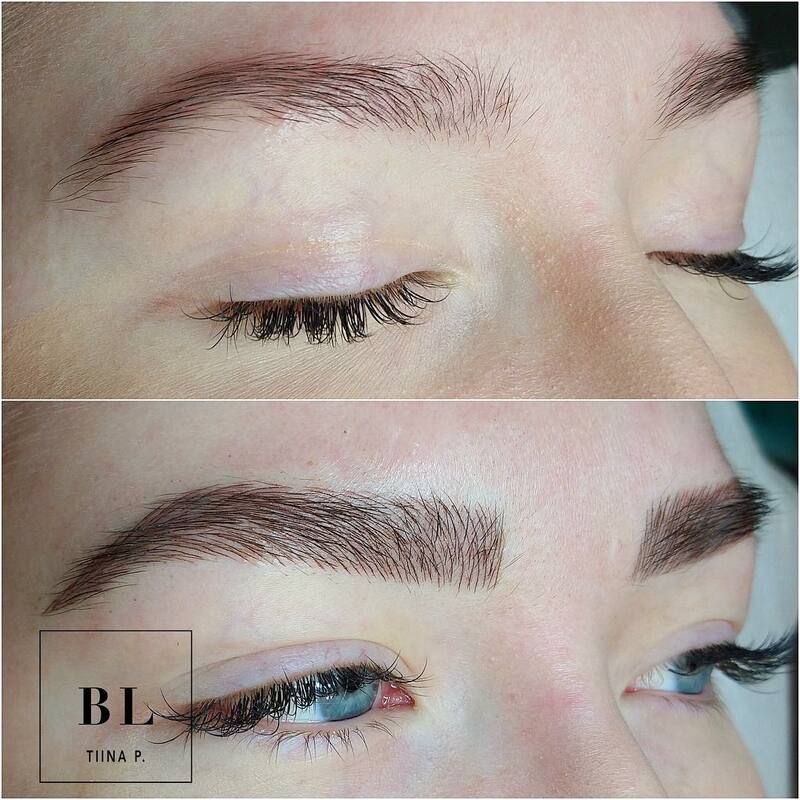 The first lines are done without anesthetics, so that the possible relaxation of the muscle caused by it does not affect the symmetry of the brows. You can book 2 h for the 1st. 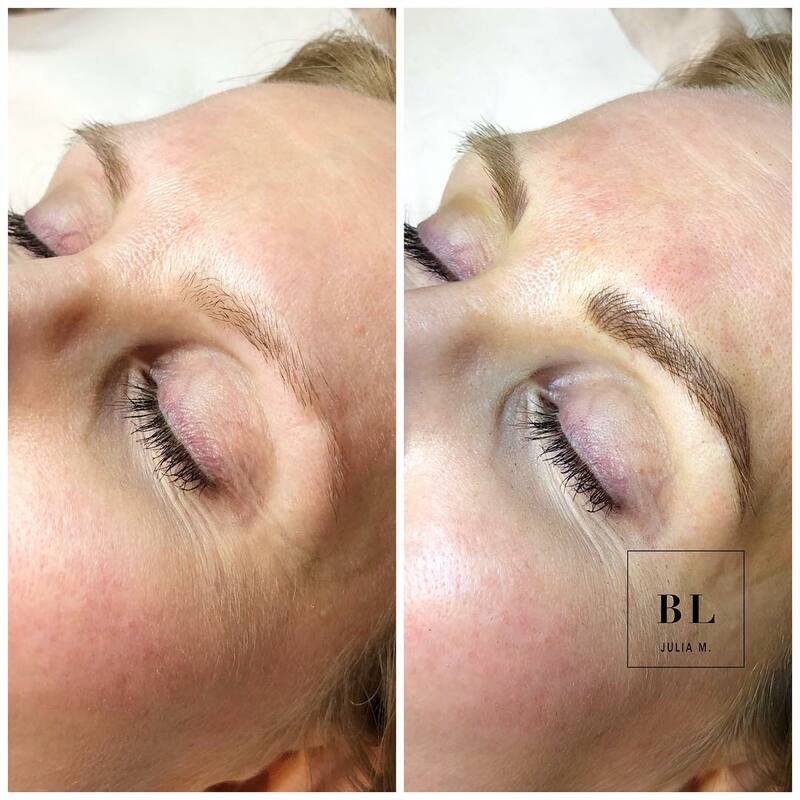 Microblading treatment. 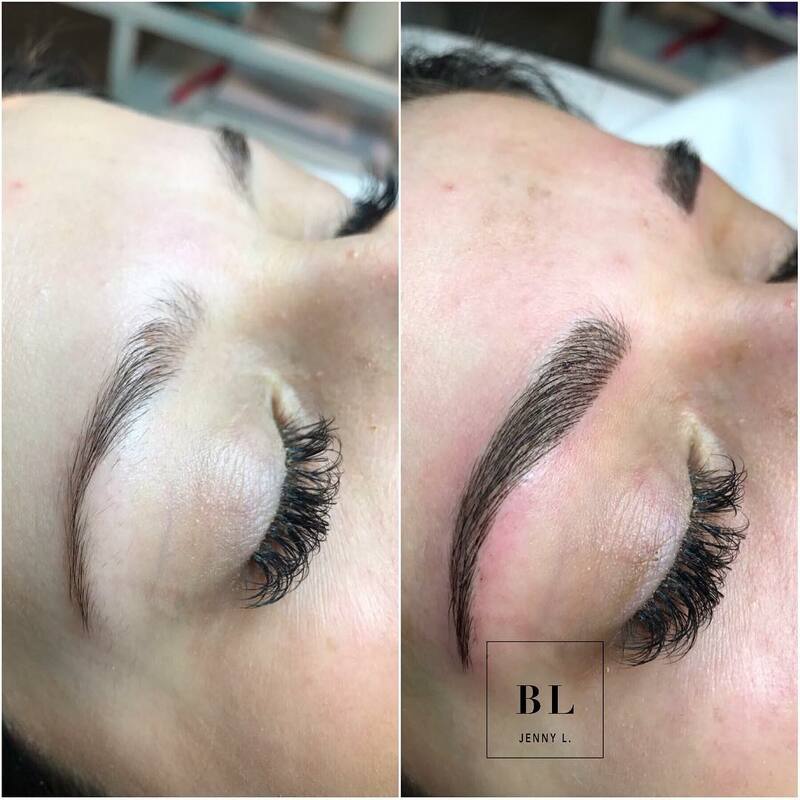 That includes preparation, shaping of the brows, the actual Microblading procedure/treatment and after care instructions. Do i need to take a free day because of the treatment? No there is no need to take a free day. The skin around the brow area might have a slight redness depending on how fragile the skin is. The color might be a little darker at first than the wanted end result and will get darker for the next couple of days. In about a week the skin has healed and the color will start to come closer to the end result that you wished for. The healing may take from a week to ten days. In this time the dead skin cells start to loosen from the skin, in other words the small skin particles that consist of dead skins, blood and pigments separate in this time. In about a month the pigment has fully settled and after 5-10 weeks the Touch Up is done if necessary. Here the color is applied to areas from where it has gone more than usual. The 1st. 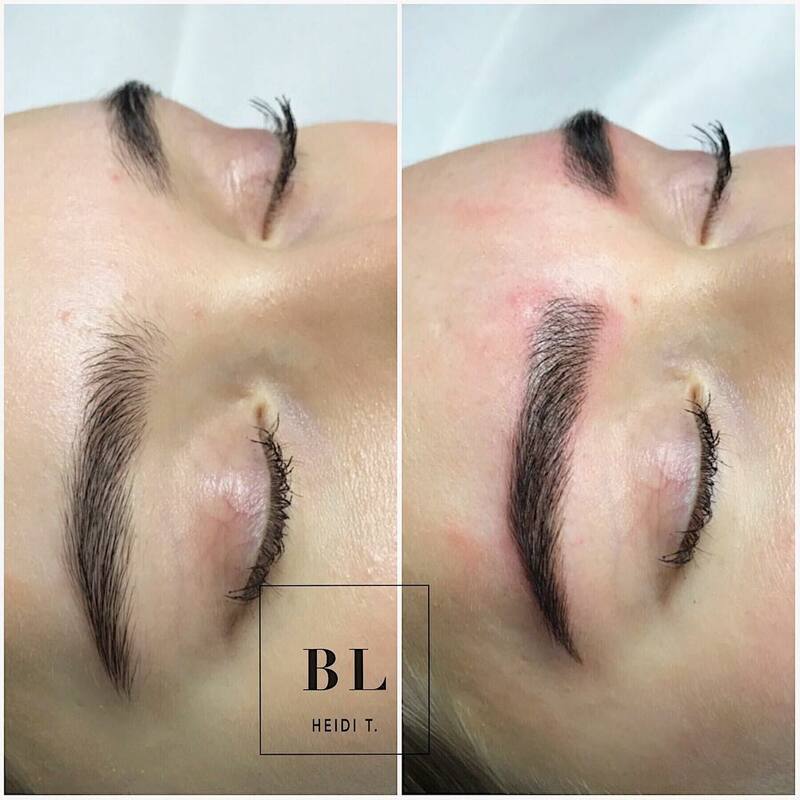 Microblading treatment price includes the Touch Up. The treatment is related to the following: shaping, the actual procedure/treatment and after care. To do the shaping We use the special tools designed by Branco Babicin. With these tools we measure symmetric brows according to your facial shape. 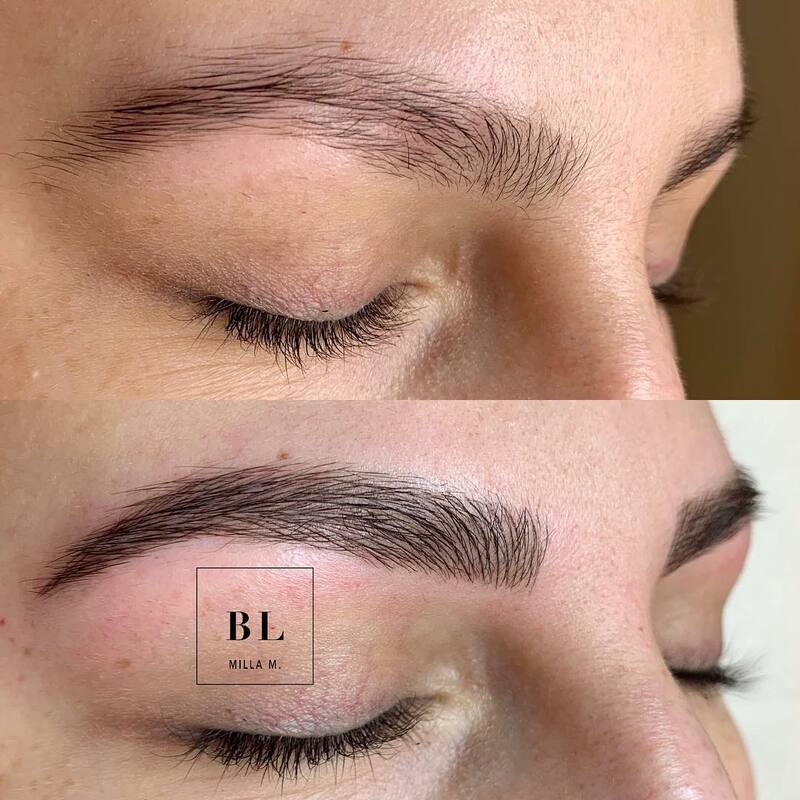 With a brow pencil, we draw the outlines of your new brows: once you have seen them and accepted, we fill the area inside the outlines with a pigment that suits your skin and hair color the best. 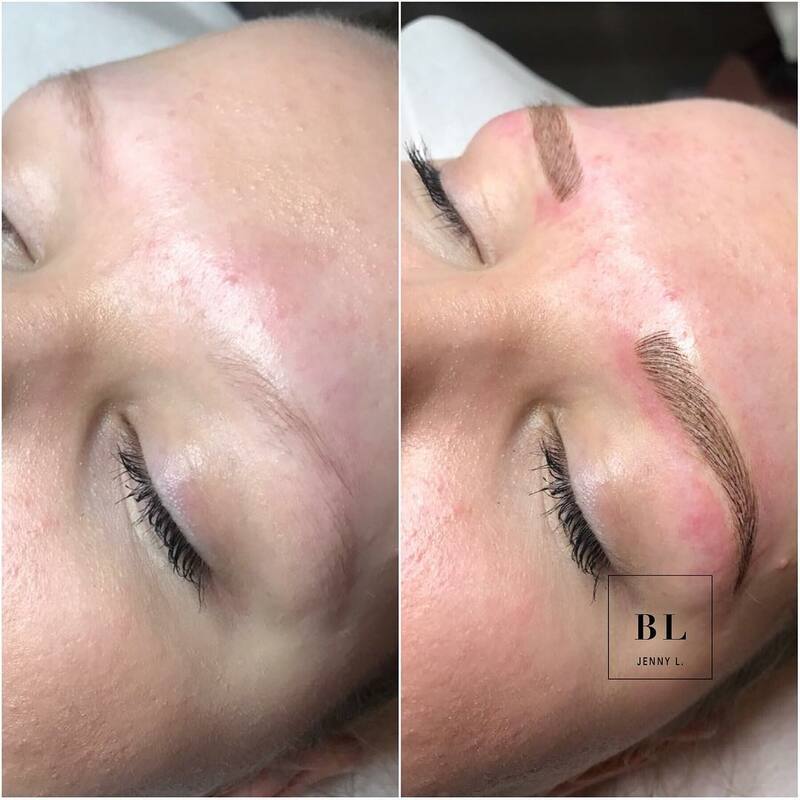 The outlines are not done with the pigment and the pencil mark is erased completely so that the brows get a as natural as possible look. 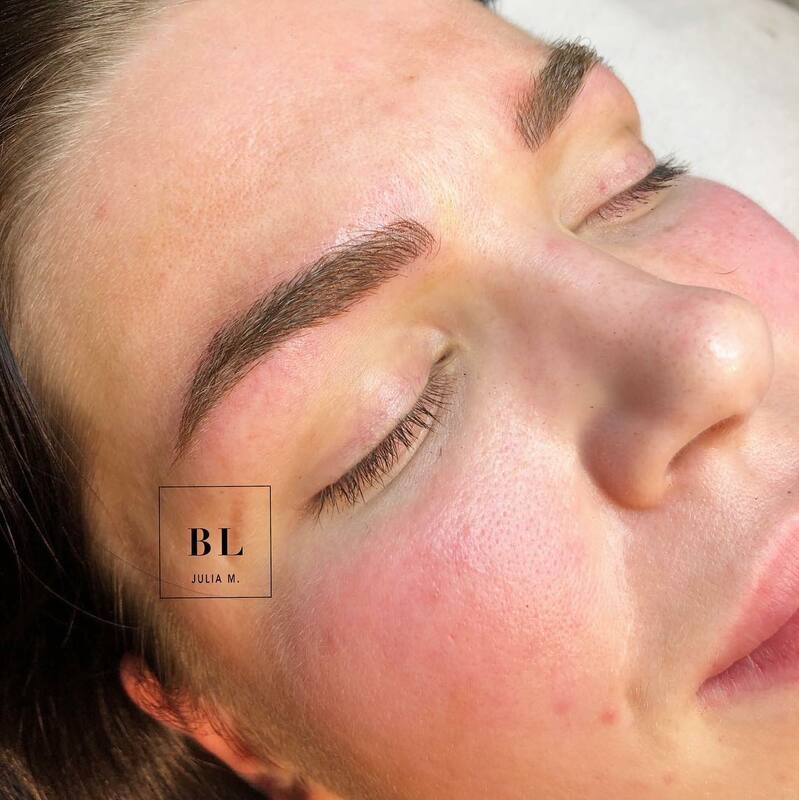 To do the Microblading we use the special blades from Phi Brows which consist of 11-14 small blades, which gash the surface layer of the skin and push the pigment to the skin.